In a world where fake news stories change election outcomes, has rationality become futile? In The Art of Logic in an Illogical World, Eugenia Cheng throws a lifeline to readers drowning in the illogic of contemporary life. Cheng is a mathematician, so she knows how to make an airtight argument. But even for her, logic sometimes falls prey to emotion, which is why she still fears flying and eats more cookies than she should. If a mathematician can't be logical, what are we to do? 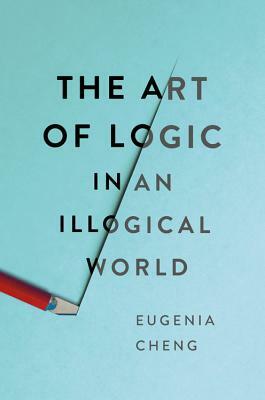 In this book, Cheng reveals the inner workings and limitations of logic, and explains why alogic--for example, emotion--is vital to how we think and communicate. Cheng shows us how to use logic and alogic together to navigate a world awash in bigotry, mansplaining, and manipulative memes. Insightful, useful, and funny, this essential book is for anyone who wants to think more clearly. Eugenia Cheng is the scientist in residence at the School of the Art Institute of Chicago and an Honorary Fellow at the University of Sheffield. The author of How to Bake Pi and Beyond Infinity, she lives in Chicago, Illinois.